FedEx Corporation’s LTL (less-than-truckload) division has grown since it’s inception in 2001 to become the largest regional LTL provider in the United States. FedEx Freight continues to position itself to provide a broader range of transportation and supply chain services to meet the expectations of its customers. FedEx Freight determined the area of northwest Houston to be a key strategic geographic location for the expansion of its fast growing regional network of transportation terminals. The initial plan was to start with a 183 door cross dock terminal with on-site truck service and fueling capability. However, due to increased business demand and growing market conditions, FedEx Freight decided to include planned future expansion in the initial construction project, growing it to 243 doors and managing up to 500 trucks a day, making it one of the largest such facilities in the country. A primary driver in FedEx Freight’s success is their ability to design and operate state of the art terminal facilities. To help them achieve this success, they rely primarily on two factors: 1) Facility location and 2) Development partners with a proven track record of successfully executing the development and construction of similar facilities. Finding sites which accommodate the size and configuration requirements of these new terminals is often a very challenging task. Geographically, PinPoint Commercial’s Satsuma Station Industrial Park was a bull’s eye in the center of FedEx Freight’s target area. The large size of the industrial park allowed FedEx Freight to fit its prototypical site plan within Satsuma Station Industrial Park exactly as needed. However, location did not necessarily mean that PinPoint Commercial would win the contract. Construction specifications required by FedEx Freight are extremely detailed in order to maintain continuity among all its regional terminals. Additionally, FedEx Freight’s aggressive timelines left little room for error. Despite these challenges, PinPoint Commercial was able to utilize its knowledge of the marketplace and its experience from previous successful projects to assemble a team that worked directly with FedEx Freight in the design and pricing of the new facility. 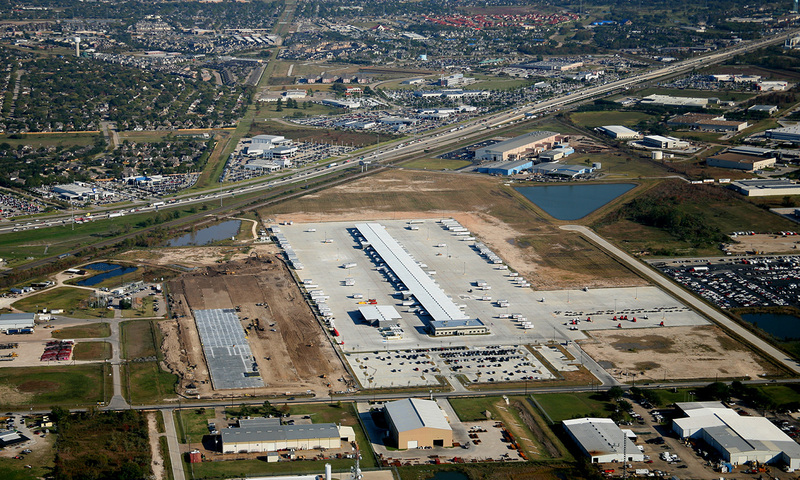 PinPoint Commercial will construct and own the facility on a “build-to-suit” basis which was completed by in 2008.